Masters of Arts in Humanities, D.I.Y. 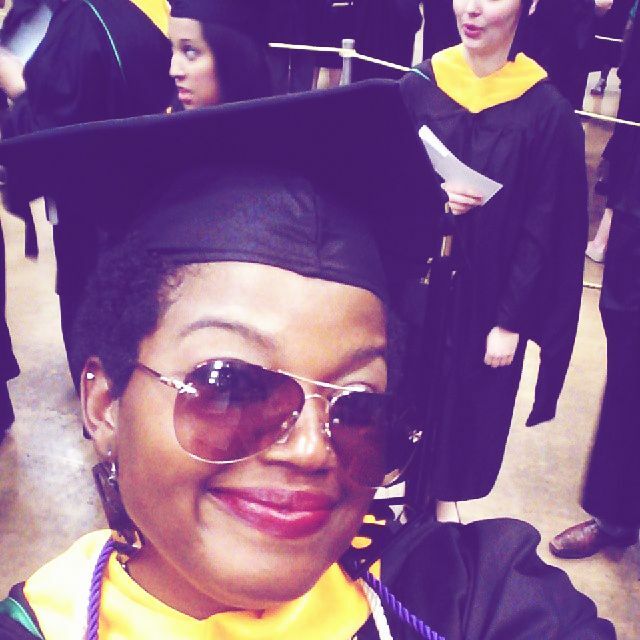 I graduated from the University of North Texas on May 9, 2014. I had an awesome time. It felt good to walk across the stage and receive a Master’s Degree in Library Science and Information Technology; the ancestors were chanting my name and I felt it! My journey is now over and I’m officially an Art Librarian. This was no easy feat, by far. I worked for every accolade that I received. I am almost famous! I am a library Rock_Star! I am who I am. I am the realist. The greatest. I am the future. I am who I am. I am kYmizsofly and atlas brown on a good day! I am who I am. Ain’t no future in fron’tN. I write hooks and read books. WORD! — at University of North Texas Coliseum.